VIP Vacations is here to provide our expertise in helping you plan your dream honeymoon or destination wedding. We are globally award winning agents that charge no fees for our services and have a price match policy so you pay the lowest cost possible. 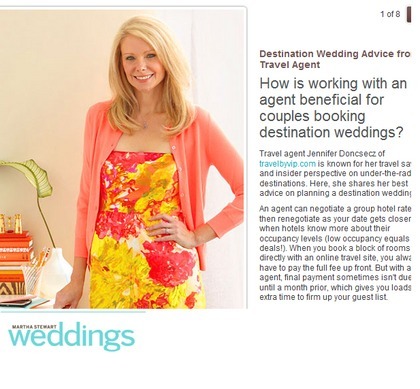 Our president, Jennifer Doncsecz, is the renowned travel expert for Fox News and seen on the Travel Channel. Martha Stewart has even named her the go to "travel gal" for honeymoons.